It’s a crazy world. Sometimes it’s chock full of awesomeness, and sometimes a pipe bursts under the toy store floor. The important thing is that, after we reconstruct the floors, Sparkhouse will resume it’s quest to be the best toy store in the universe. So please bear with us during this interruption, and look for our re-opening soon! Winter Clearance Sale Final Blowout! From Friday (1/25) to Sunday (1/27), EVERYTHING* in the store is now 50% off !! Sparkhouse is still chock full o’ 2012 awesomeness and we need to make room for all new, even awesomer stuff. If you’ve been busy and haven’t had a chance to come by the store, you have one more chance this weekend. Stock up now because after the sale we will be CLOSED FOR INVENTORY from Jan. 29 – Feb. 4. We will reopen on Feb. 5 for our regular hours. *Still does not include employees, owners, other customers, fixtures, office supplies, charitable merchandise, copyrights, air rights, or other stuff we don’t usually sell. Everything in the store* is now 30% off! We’re gonna sell it all until we have enough room for all the new Awesomeness we will bring in from Toy Fair. So, if you want to stock up on Legos or if you want to save $60 on a Ginormous Squishable – Hurry in before it’s all gone! *Does not include employees, owners, fixtures, office supplies, charitable merchandise, copy rights, air rights, or other items we don’t usually sell. This is the time of year when we stock up for the holidays. 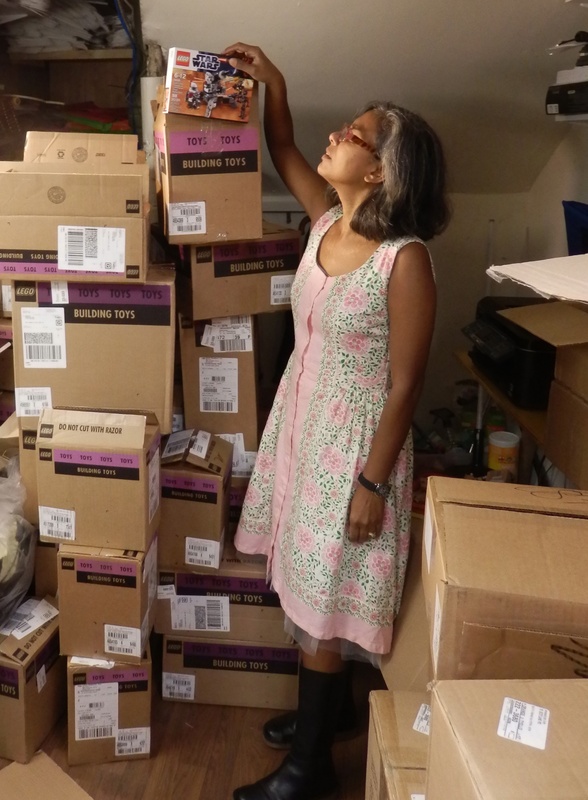 Nearly every day we are receiving truckloads of new toys that we are trying to squeeze into the store as we prepare for the December onslaught. If you want to scoop up the best toys (like the 52 cases of Legos we just unpacked) before the merry hordes clean the shelves, now is your chance! If you start seeing groups of Sparkhouse kids shouting and rolling dice, do not be alarmed. Tenzi is a simple game that kids(6+) and adults can enjoy. 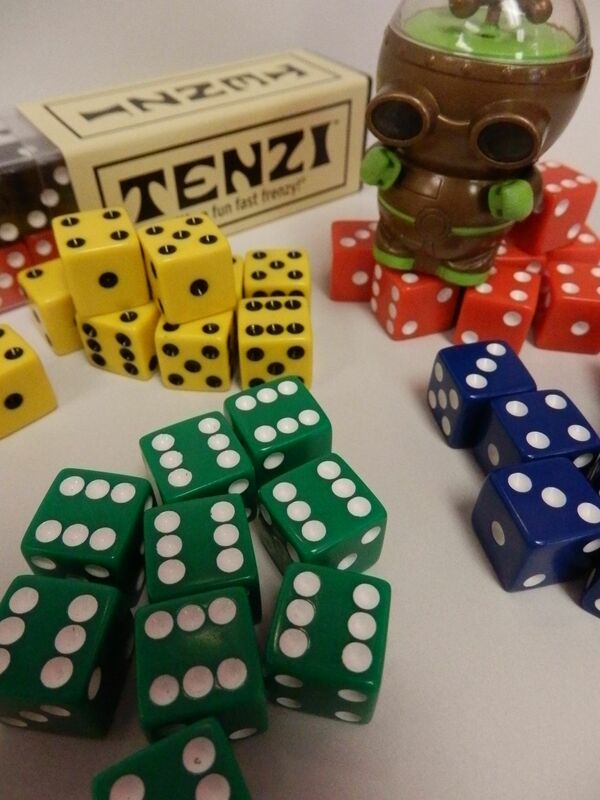 Each player gets ten dice to roll (and occasionally stack) until they get the right combination to shout “Tenzi!” There are several game variations you can play in teams or solitaire, and they are all surprisingly addictive. *Ok, Einstein didn’t really say that. 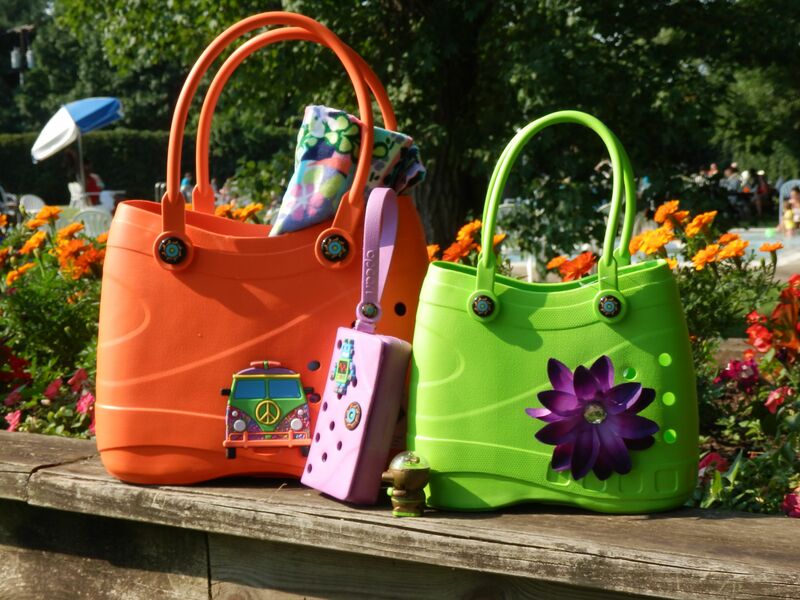 Grumman thinks more fashion should be indestructible. I remember my old comic books fondly, but none of them were anywhere near the quality of the “graphic novels” available today. Librarians and teachers have discovered that the format is a fantastic way to engage “reluctant” readers, but everyone can enjoy the pairing of a great story with great artwork. 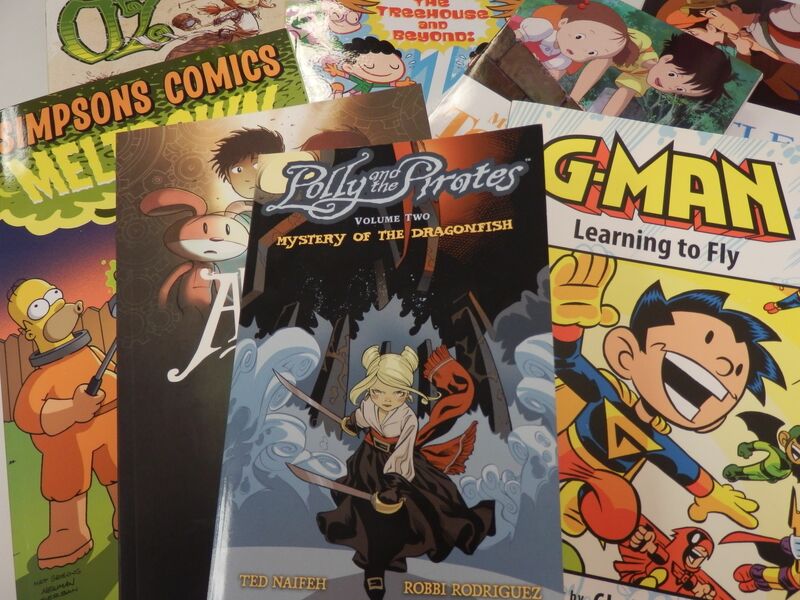 The Sparkhouse Kids are all fans of the genre, and we are very happy that we now have a wide range of the best titles in stock. We’ll also be adding new titles as fast as we can, so let us know if you have any favorites you would recommend. Grumman and Einstein have been tearing through the new books as fast as we get them in!